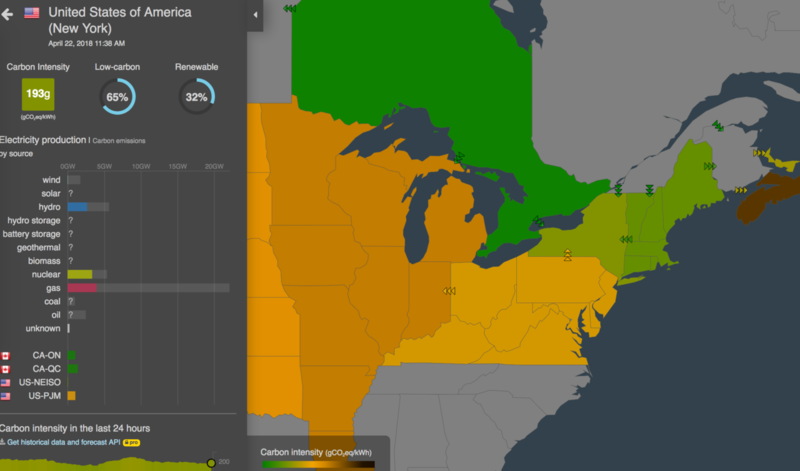 @adamhrv https://www.electricitymap.org was kind of disappointing as there are a lot of gaps. For e.g. ~95% or more of the electricity in my province of bc, canada comes from hydro, but there is no data. To be fair though, we don't have decent sources of data like e.g. ontario.